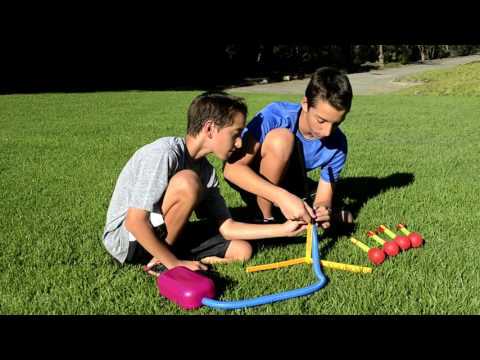 All the fun of the original Stomp Rocket, but at night! 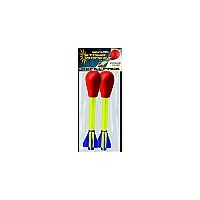 Comes with 4 fully lighted LED rockets. 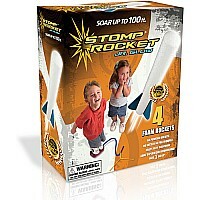 Stomp on the Launch Pad and a blast of air propels the foam tipped LED stomp rockets up to 200 feet in the air! 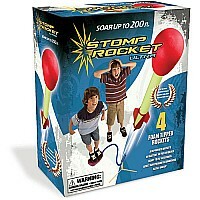 The kit contains 4 foam tipped LED stomp rockets and launch pad.